Planning to take the April or July NPTE? 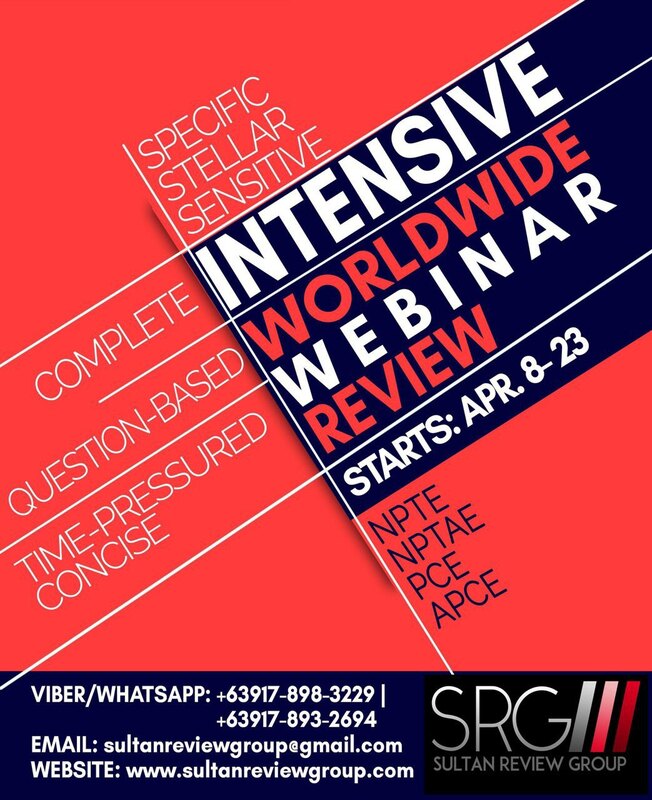 Looking for the review program that will teach you how to translate knowledge into correct answers to ace the examination, build your mental endurance in answering numerous questions and will teach you how to master the right testmanship skills? Our slots are always sold out. Enroll now and experience one of the best review programs that deliver the desired results! Previous Entry:YOU HAVE A CHOICE!